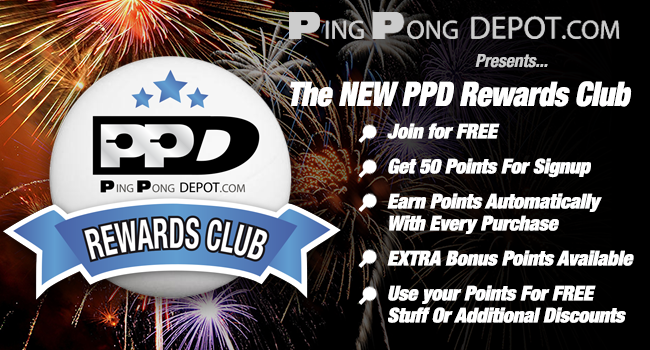 The PPD Rewards Club gives members points for their purchases and for other actions that help PPD grow and become better, such as liking us on Facebook, or referring us to a friend. Once enough points are accumulated, you redeem points for discounts and free products. The more points you accumulate, the more choices you have. NOTHING! It’s a free program. No fine print and no gotchas. It’s our way of encouraging you to stay with us as a loyal member of the Ping Pong Depot Community.